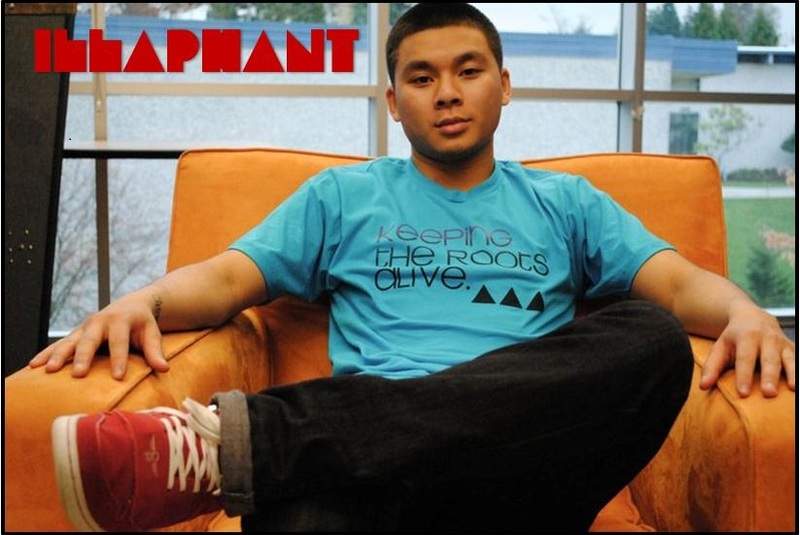 Illaphant, also known as Tony Innouvong, is a young Lao-American musician and poet out of Seattle, WA. 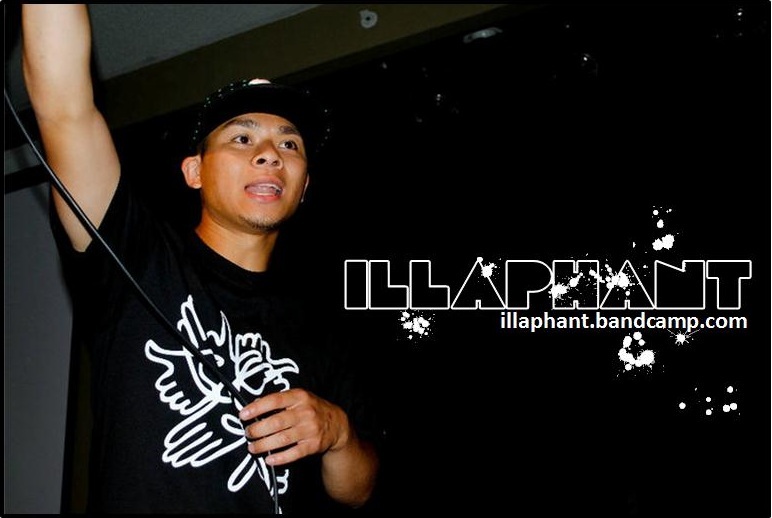 When he is not writing poetry or rapping rhymes, he is a youth leader actively involved in his local community. 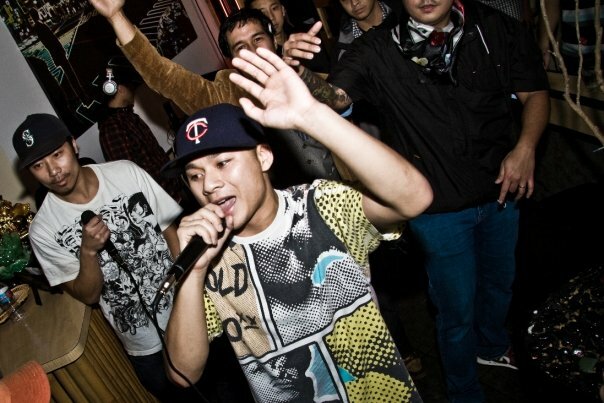 Along with Edward Martinez, Tony created the Freshest Roots, a community-based organization, designed to help connect the community through music, art and fashion. Do you write your own songs? If so, what inspires you? Yes. My inspiration for writing comes from life; the past, present and future. My journey has allowed me to experience many things, and it is through those experiences that I’ve been able to create a meaningful story into poetry and music. How did you get interested in rapping? I grew up in the “Golden” or 90s era of hip hop music. This was a period of very rooted, soulful and vibrant music. What I mean when I say rooted music is music that was influenced by tradition and culture dating back generations. The influence of traditional song and dance was deeply rooted in early hip hop music. Additionally, it was music that spoke meaningful messages filled with stories and poetry. As a young boy I would listen to and recite lyrics of the culture’s pioneers. Throughout the years, the music and culture became engrained into my life; it became a lifestyle. 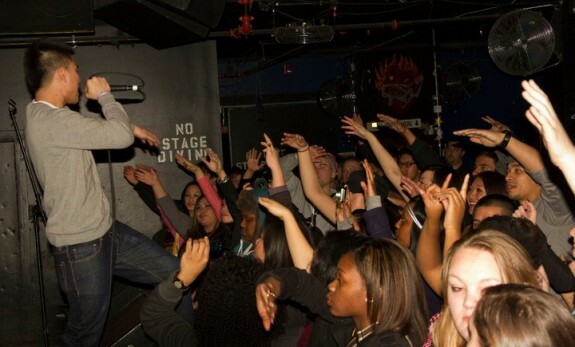 However, it wasn’t until I became a teenager that I grew an interest in rapping. What is your take on youth gangs? When I hear the word “gang,” like many people, my impulse is to stir up thoughts and emotions of negativity. This is a normal reaction and by no means do I condone the negative impacts gangs have on the community and the youth. However, there are positive elements to gangs. Many young people come from deteriorated home environments and it is within a gang that many young people find refuge and family. The familial relationships that gangs offer and foster are a unique element, but the outcomes and consequences of their beliefs and actions are not valid. I believe that positive outlets need to be established for young people to channel their energy. Young people should not have to resort to gangs for refuge. It is our duty as community leaders, people with positive uplifting voices, to innovatively find ways to build the youth up so that they may become positive leaders that act for change. My mother has played a significant role in my life. She has nurtured much of the character that I am today through lessons of hard work, responsibility and community. My grandparents, may they rest peacefully, taught me to love and forgive. Through their work in the church they were always passionate about helping others in need. Additionally, the community leaders that I’ve worked with and continue to work alongside are always inspiring me. They have been friends, teachers and motivating forces for me to understand my identity. Five years from now, where do you want to be? In 2009 I started an organization called Freshest Roots. Freshest Roots is a community based organization that strives to create and open opportunities for young people to cultivate their passions in the arts. Five years from now I would like to see Freshest Roots grow exponentially; making a difference in communities throughout the world. I am very passionate about continuing my work in the community whether it’s five, ten or fifteen years along the road. How do you plan to give back to the Lao community? It wasn’t until recently that I learned more about the history, culture and social contemporary issues that impact the Lao community. I have always been enveloped by strong cultural connections, but never seemed to embrace it. However, it is never too late to create change. I have been building my identity more each day through the lessons and stories shared with me about my ethnic culture and background. Not to say that I was lost, but understanding my cultural ties has been important to writing my story. Through this, I plan to help people in and outside of Lao communities to foster a better understanding of Lao history, culture and contemporary social issues. By creating awareness we can sustain generations of rich culture and history, and build leaders. One dream of mine is to help build centers for education and development in undeveloped regions of Laos. Poverty and economics have been disabling factors in the development of people and communities in Laos. In order to fill gaps and disparities it is important to build a firm foundation and infrastructure. Do you find any similarities between rapping and “lum” music? I honestly don’t listen to much “lum” music but I have listened enough to understand that both types of music are culturally rich; infused with creative and unique elements that were developed in music throughout history. How do you feel about gender roles? I’m all about equality and seeing changes occur in hierarchies across all spectrums. We live in a world that is very hyper-masculine, but we’ve also seen the slow manipulation of gender roles throughout history. In some cultures it is still straightforward; a “men do this and women do that” type of culture. On the other hand we’ve seen the integration of roles, but tradition has not disappeared. Traditional gender roles seem to keep us connected to our culture and roots. Civilizations and cultures have existed for thousands of years. They’ve worked well for a reason. Do you plan to tour in Laos? When I have the financial backing and support I will tour in Laos. I know there are people in Laos that have listened to my music or are currently listening to it. As long as I reach out to at least one person my mission as an artist is a success. It would be great to see the demand for my music in Laos increase because it is a dream of mine to visit and perform in Laos. What was your experience like growing up Lao American? I grew up very unfamiliar with my ethnic roots. I understood that I was Laotian but I did not understand what that meant. Other than family gatherings and traditional ceremonies, I was never exposed to learning more about my ethnic background and culture. I think that was partially due to the lack of Laotians in my community growing up. Laotians are a much underrepresented group and the infancy of the Laotian community during my childhood was a reason why I knew very little. This was also the story throughout high school. I was one of very few Laotians at my school and neighborhood. It wasn’t until I began college that I had a desire to learn more about my family’s ethnic, cultural and historical background. My interest and desire to learn more skyrocketed. I became immediately immersed in educating myself and others about the fascinating yet trembling history of my people. Today, I continue to share this knowledge through my art. It has been a wonderful journey and I only see it rising from here.